You probably know that Cat Faeries is located in San Francisco and that currently in Northern California there are two major fires which are destroying thousands of acres of land, burning homes and businesses, and displacing or injuring many animals. These animals range from cats, dogs and other domestics, to horses, cattle, and wild animals. One of the two California fires is in Lake County which is about 2 hours north of us – Lake County is the poorest County in the state. While we were looking into where we can donate items and money we heard a remarkable story from Sebastopol based photographer Heather Wakefield about a severely burnt cat who was rescued by firefighters. The cat was found in the driveway at 19554 Highway 175, in Middleton, and was taken to Wasson Memorial Hospital. When the cat first arrived it appeared that the cat might lose his eyes but with treatment and round the clock care he’s improving daily and he’s begun to purr and rub his chin for the techs and doctors. We are very impressed that Wasson Memorial is boarding cats who have lost their homes from the fire or who have been found wandering, and they are doing this free of charge. They know that the people in their community who had very little to begin with now have nothing, including their homes which could mean they will never be with their beloved animals again. We are donating to Wasson Memorial because we believe that compassion before cash deserves to be supported. As of today the fire is only 15% contained. Over 65,000 acres have burnt in that one fire alone. Hundreds of homes have been destroyed leaving thousands of people and their animal homeless. The town of Middleton is completely gone, every structure burnt to the ground. If you have any information about the owners of this cat call 707-263-5380. At Cat Faeries we feel very blessed – we’ve got the best customers! And we believe in philanthropy. We are in the process of getting more supplies to help cats and other animals (and people too!) where they are needed most – this is why you shop with Cat Faeries: 1% of our sales go to rescue efforts. In time of disasters like the two fires we order and pay for various supplies to feed and care for cats and other animals. We’ve hidden the photos of one burnt cat behind this link to the Wasson Memorial Facebook page so that our readers who are children or very sensitive adults won’t have to see them unless they choose too. The photos are dramatic, but the good news is that the cat is getting better every day. 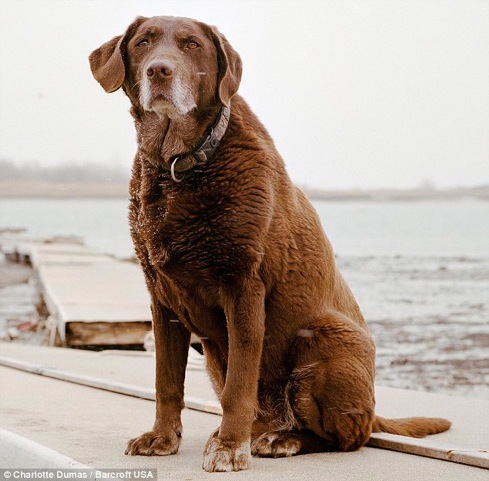 The Rescue Dogs of 9/11: only one is still living. See her today and how the last 12 looked in 2012. Look at those sweet gray muzzles! What cuties! And so very brave. 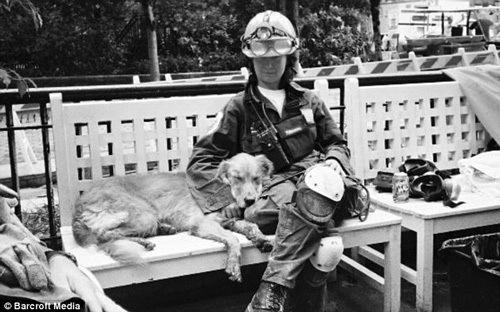 These hero dogs helped search for people in the rubble following 9/11. In 2012 when we first posted this story there were 12. Only one of these dogs is still alive. 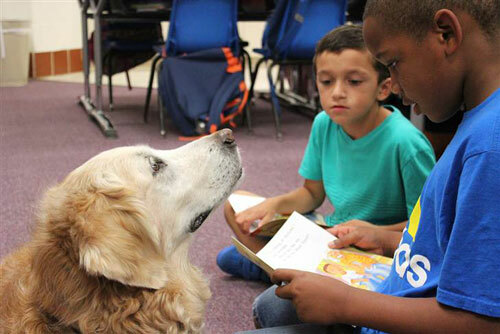 Bretagne, a 15 year old golden retriever, still works as a service dog helping special needs kids by listening to them read out loud. 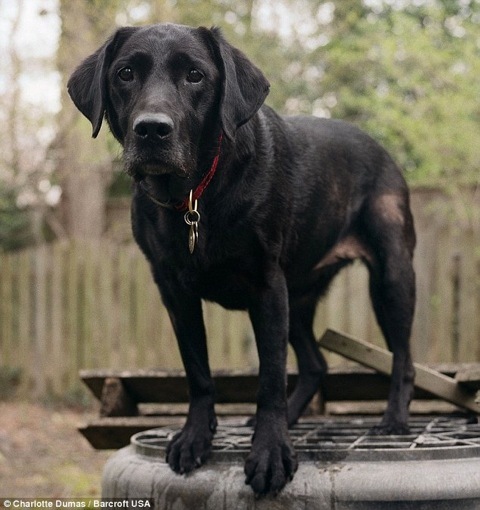 For more on Bretagne here’s an excellent article on the Today Show site – “Last known 9/11 Ground Zero search dog still lends a helping paw”. Here’s a current picture taken by her 9/11 handler and current companion, Denise Corliss. Her she is with Denise working at the World Trade Center site in 2001. Here is the story and their photos. These are from a wonderful article written by Charles Mayfield. Unfortunately, even after much Google searching, we can’t find the original source. 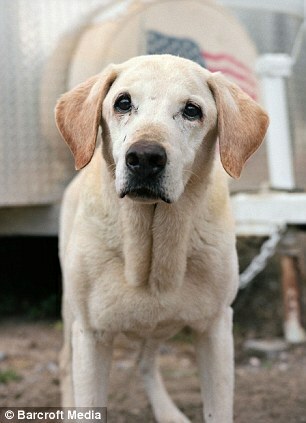 Below is the article that includes pictures of 2012’s 12 surviving dogs. Wishing you a day of reflection on the lives lost, the hearts broken, but the spirit of everyone who was touched by the events on September 11, 2001 remains strong. 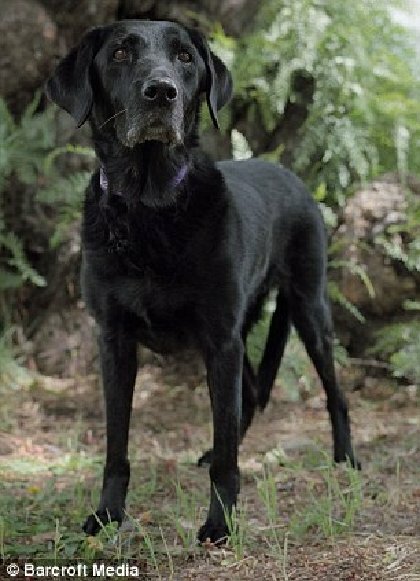 The rescue dogs who have crossed The Rainbow Bridge are surely held in the highest esteem, and we like to imagine that they are being given lots of love and treats by those who perished on that horrible day. 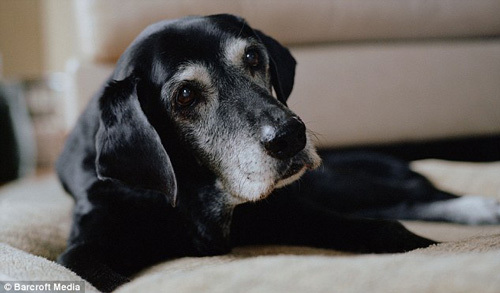 Nearly 100 dogs worked at the trade center ten years ago; only 12 are left. THESE OLD WONDERFUL FACES SAY IT ALL… These are the surviving dogs that worked the trade center that are still alive but retired, they are heroes too. Their eyes say everything you need to know about them. Just amazing creatures. True heroes of 9/11 still with us today. 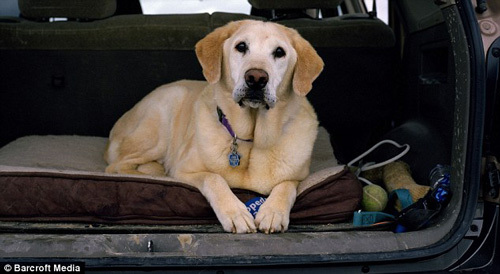 Moxie, 13, from Winthrop , Massachusetts , arrived with her handler, Mark Aliberti, at the World Trade Center on the evening of September 11 and searched the site for eight days. 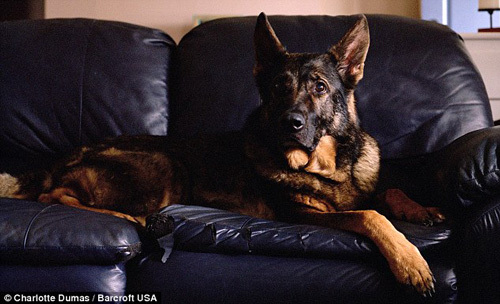 Kaiser, 12, pictured at home in Indianapolis, Indiana, was deployed to the World Trade Center on September 11 and searched tirelessly for people in the rubble. Bretagne and his owner Denise Corliss from Cypress, Texas, arrived at the site in New York on September 17, remaining there for ten days. 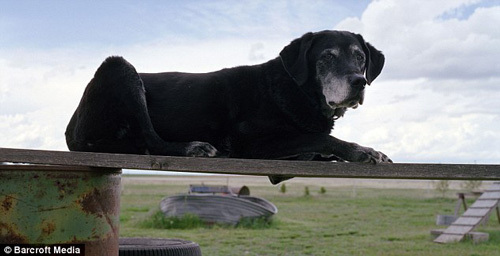 Guinness, 15, from Highland, California, started work at the sitewith Sheila McKee on the morning of September 13 and was deployed at the site for 11 days. Merlyn and his handler Matt Claussen were deployed to Ground Zero on September 24, working the night shift for five days. Red, 11, from Annapolis, Maryland, went with Heather Roche to the Pentagon from September 16 until the 27 as part of the Bay Area Recovery Canines. 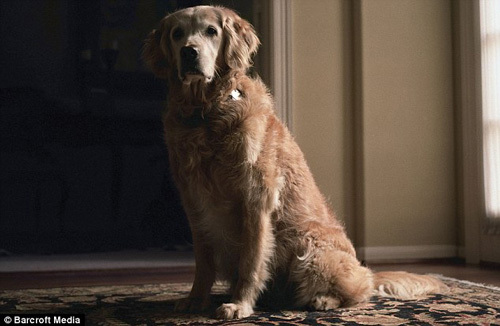 Abigail, above, was deployed on the evening of September 17, searching for 10 days while Tuff arrived in New York at 11:00 pm onthe day of attack to start working early the next day. Handler Julie Noyes and Hoke were deployed to the World Trade Center from their home in Denver on September 24 and searched for five days. 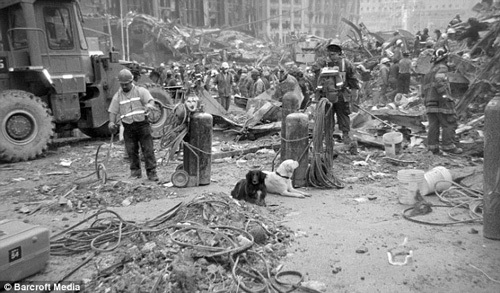 Scout and another unknown dog lie among the rubble at Ground Zero, just two of nearly 100 search and rescue animals who helped to search for survivors. 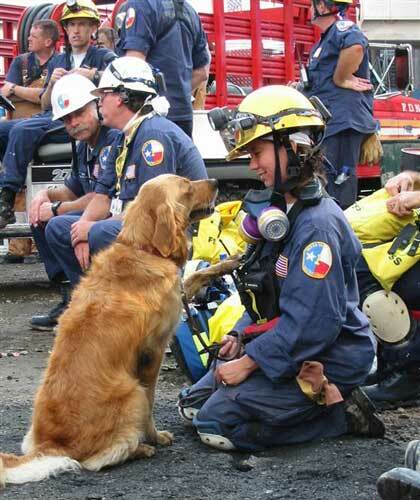 During the chaos of the 9/11 attacks, where almost 3,000 people died, nearly 100 loyal search and rescue dogs and their brave owners scoured Ground Zero for survivors. 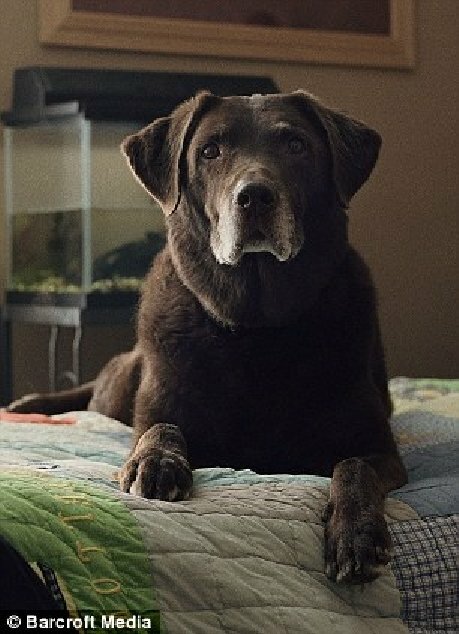 Now, ten years on, just 12 of these heroic canines survive, and they have been commemorated in a touching series of portraits entitled Retrieved.